Dr. S. Emmanuel, former Principal of ALC, invited speaker explained the job opportunities and imp of research and research opportunities in the foreign countries. Ms. Kavitha, HOD of Biotechnology proposed the vote of thanks. 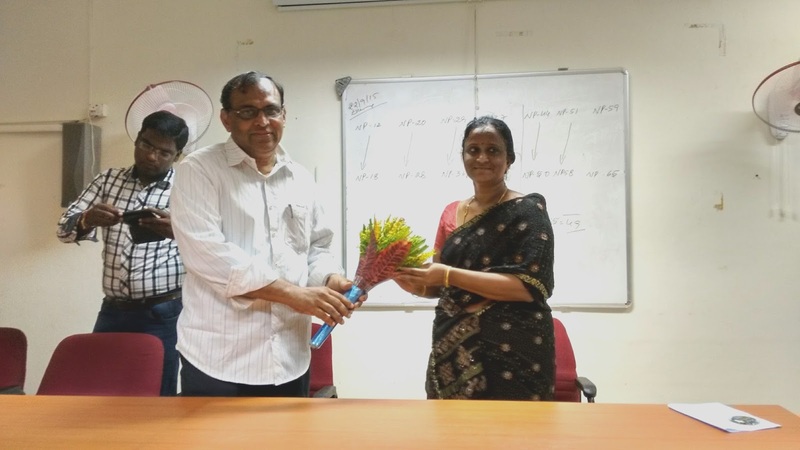 Dr. B. Siva Kumari Department of Botany invited as Jury member to judge the INSPIRE-2015 state level exhibits held at KBN College, Vijayawada from 21st to 23rd September, 2015. Dr.B. 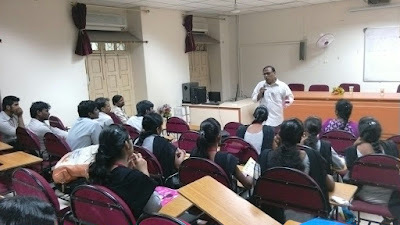 Siva Kumari, Department of Botany attended a one day workshop on' Academic reforms- Standardizing question paper setting under CBCS pattern' and contributed questions for preparing the question bank as per CBCS pattern for UG first year degree at ANR Degree College, Gudivada on 27th August, 2015. 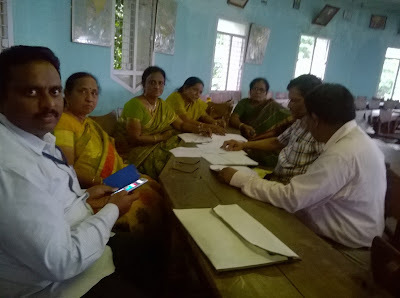 Dr. B. Siva Kumari Department of Botany invited as Jury member to judge the INSPIRE-2015 District level exhibits held at at Donbosco School at Guntupalli from 7th to 9th September, 2015. Dr. B. Siva Kumari and Mr. K. Sankar Department of Botany conducted a three day workshop on E- Content development in Botany from 11th to 13th September, 2015 at ALC. Dr. Pavanaja Senior wikipedian, Bengaluru, Mr. K. Viswanath, In- Charge of Saraswathi Library were the resource persons. 48 Students participated and added 63 articles in the Botany.